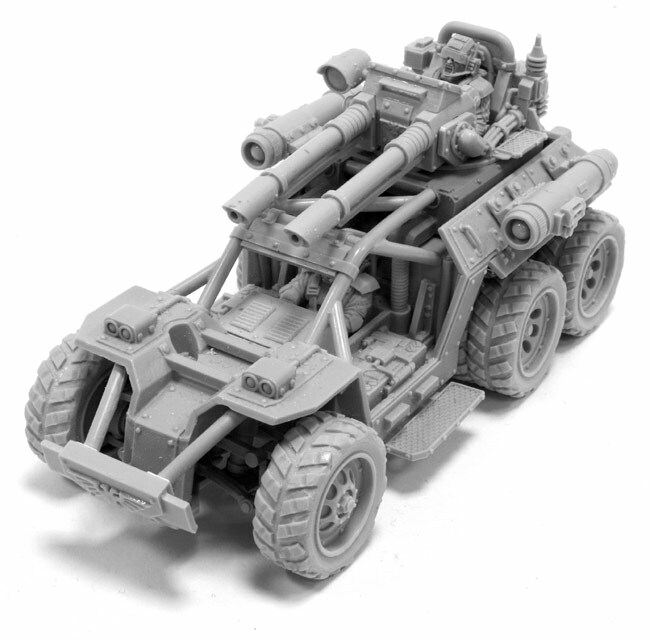 Forge World has a new Warhammer 40,000 Elysian vehicle on pre-order (will release on January 25th), the Tauros Venator. It is a very cool looking ten-wheeled off-road buggy similar to the present-day DPV’s used by SEALS and Delta Force that operated in Iraq. Rules for it will appear in Imperial Armour Volume Eight. Guard players will need to warm up their wallets.